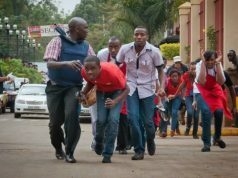 A househelp who currently works in Nairobi, was among the top scorers in the 2015 KCSE results announced on Thursday. Everlyne Bonareri Chachi scored a B+ of 70 points with an A in Mathematics despite having to work during school holidays to pay her school fees.She was schooling at St Charles Lwanga Gesero, a day and boarding school in Kisii. Bonareri’s dream is to enroll for an accounting degree at the University of Nairobi after which she intends to go into business.The 21 year old had earlier on scored a C plain during the 2013 KCSE but lack of school fees forced her to stay at home the whole of 2014. “During that time I worked at a hotel in Kisii town for a monthly salary of Sh4,500. I used part of this money to clear my high school fee balance of 11,000,” narrated Bonareri. Later her parents advised her to attempt the exams again so as to meet the required university degree qualifications under the government programme. “In 2015 I went back to school after a year of staying home while working at the hotel and my parents sold part of our land to pay my school fees,” said Bonareri. Bonareri whose parents, in their 50s, are farmers in Bogiakumu Village in Kisii’s Bonchari Constituency intends to work hard to pay the university school fees if selected through the government programme. 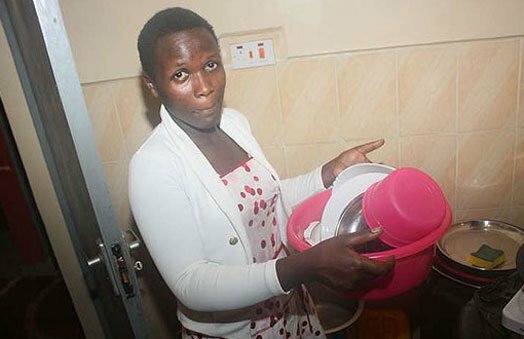 Her current employer, Betty Muringa, who lives in Umoja estate told Nairobi News that she intends to help Bonareri excel in her college education. If you thought house helps cant makes, you can now be proven wrong .